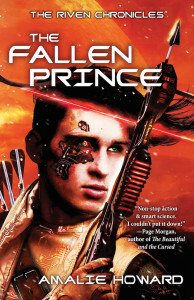 Happy Book Birthday to Amalie Howard and The Fallen Prince! Are you up to the challenge? Join the initiative starting on March 24th 2016 to celebrate The Riven Chronicles’s THE ALMOST GIRL and THE FALLEN PRINCE!